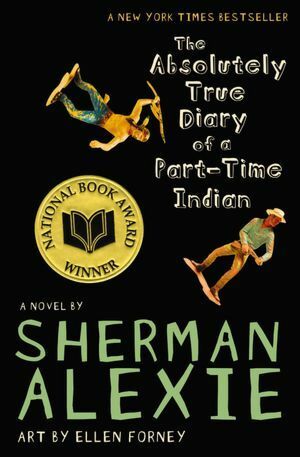 I recently subscribed to Sherman Alexie’s Twitter feed @Sherman_Alexie after having read several blog posts referring to The Absolutely True Diary of a Part-Time Indian as one of the must reads for anyone. I also remember it coming out just as I was moving from teaching at the middle school level to the high school level. My reading of YA fiction went down drastically because I switched focus from teaching language arts and literature to history. Now that I am, once again, a member of my local library I checked it out. Junior has to make a decision. Does he stay on the Rez and end up like everyone else around him-a drunk Indian who didn’t fulfill his dreams. But, to leave the Rez, he will have to attend an all-white, small town high school. And he knows the choice to leave the Rez for school will bring with it consequences like being called a traitor, or worse. This novel is partially based on Alexie’s own experiences, which always lends a bit more credibility to a work of fiction. It gives the readers a more intimate view of situations they hope are only made up. Junior, the novel’s protagonist, begins the novel with a very frank, straightforward discussion of how he doesn’t fit in with his classmates. He has one true friend, who tends to be a bit of a bully to everyone but Junior, at least in the beginning. Junior spends much of the beginning of the novel looking at the dreams of those family and community members surrounding him. Admitting to himself, and a teacher who prods his thinking, his dreams will never be realized if he stays in school on the Rez he chooses to attend school in a small, all-white community 20 miles away. The title of this book is genius and clearly paints the picture of the battle for self-identity. This, above all else, is the novels message. How does one find his/her identity when it is torn between two very separate worlds? Through several heartbreaking setbacks, Junior acknowledges the difficulty, while also admitting the necessity of having a foot in both worlds. Alexie’s strengths as a writer is within his character’s voices. He writes his characters clearly. The novel is not heavy on description, which leaves the character’s actions and dialogue as the building blocks to the images readers must create in their heads as they read. I absolutely loved Ellen Forney’s illustrations. Junior draws cartoons as a way to make sense of things around him. Her artwork looks like a teenage boy could have drawn it and clearly expresses the feelings Junior deals with in this novel. As I read the first chapter, I thought to myself how it would be another great example of teaching voice to students learning to write. Voice is often one of the hardest style characteristics to teach and finding great examples of a writer’s voice is necessary. Using the illustrations and the descriptions of why Junior writes would give students an example of how to use cartooning and journal writing as a tool. Banned Books Month–there have been several instances of attempts to ban this book. I could see using it during Banned Books Month to stir discussion. 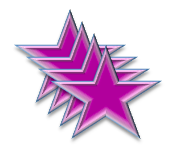 Anyone who loves strong characters who overcome diversity and personal tragedy to succeed. Anyone who loves Sherman Alexie. I’m currently listening to this one on audiobook (almost finished) and it is so-so-so good! I need to check out some of Sherman Alexie’s other works, too. Have you read Okay for Now by Gary D. Schmidt? It was pretty similar to this one, but from the perspective of a white kid in the late 60s… I figure that it might also appeal to you/your students, so thought I’d suggest it! I haven’t read any of Alexie’s other books, but they are on my list to be read. Thanks for the Schmidt recommendation! It will definitely worth checking out.